GoodReads Summary: The Shima Imperium verges on the brink of environmental collapse; an island nation once rich in tradition and myth, now decimated by clockwork industrialization and the machine-worshipers of the Lotus Guild. The skies are red as blood, the land is choked with toxic pollution, and the great spirit animals that once roamed its wilds have departed forever. 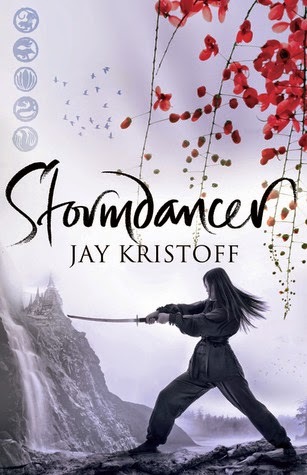 Jay Kristoff's Japanese-inspired steampunk debut Stormdancer takes you on a thrilling journey that you never want to end! Jay Kristoff is the master of world-building, he's crafted together a complex world of history and politics that is both beautiful and revolting. The blood lotus trade has had a damaging effect on the cities of Shima - polluted by Chi the air is thick and suffocating, the sky red, and the environment dying. Yukiko is an admirable mc - wise beyond her years she never once backs down. Her determination, spirit, and kindness have definitely earned her a place on my favourite heroines list. Her character grows and develops throughout the novel - she makes mistakes, she's a little naive at times (especially where the romance is concerned), but she rises beyond all of that and continues to fight. Kristoff has created a set of characters so brilliantly layered that you'll feel emotionally attached to each and every one of them. Yoritomo takes the crown at being best villain of the year. If you looked him up in a dictionary here's what I'd you'd find: A cold and ruthless creature who cares for nothing other than his own needs and desires - will evoke even the most gentle of beings to want to reach through the pages and slowly strangle him! The highlight of the story was -not the romance- but the heart-warming relationship between Yukiko and the Thunder Tiger. The unlikely duo are fiercely protective of each other and they share a bond so deep it creates a sense of loyalty, affection, and understanding. Together they become an unstoppable force that you just can't help but root for. 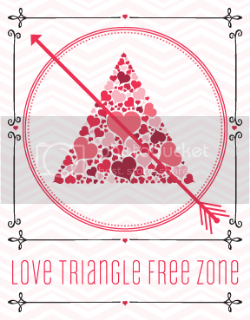 One of the reasons why I gave this 4 hearts instead of 5 is because of the overly detailed writing. I think it's something you're either going to love or hate. Personally, I wasn't a fan. I found myself skim reading some of the descriptions, but this by no means means that I didn't like the authors writing, it's just that I found the extensive details a bit unnecessary. With that being said I found that Kristoff's rich writing style really shone through during the actions scenes. His attention to detail allows you to conjure up vivid images of the on-going scene and feel all the emotions that the characters are feeling. Your last point is the reason why this book didn't work for me. Unfortunately, I never did get far enough to appreciate the plot. I'm pleased you enjoyed it despite the excessive description. I quite like the sound of the relationship between Yukiko and the Thunder Tiger. :) Brilliant review, Renu! I sometimes skim overly detail writing, so I understand that. I'm glade the actions scenes are well-written and the world is well developed. Terrific review! Thanks for sharing your thoughts - I appreciate the character analysis. Yukiko seems like a great MC. Lovely review! Oh I LOVED the bond between Yukiko and Buruu. Without doubt, my favourite aspect of this book. So well developed and made you FEEL emotionally connected <3 I'm so glad you enjoyed this and that the writing only bumped this down one star. Fantastic review! Honestly, Stormdancer isn't something that appeals to me. But I've seen so many positive reviews that' I was questioning myself. The story does sound interesting, but I'm not a fan of overly detailed writing either. I am glad you enjoyed if. Thanks for such an informative review! Thanks for stopping by and following. I'm now following you back.